A historic cruise ship, a haunted ship, the Celtic American Line's Destiny, sets sail from the Port of New Orleans—with a killer on board. He's known as the Archangel Killer because of the way he displays his victims in churches. And how he places a different saint's medallion on each body. No one knows exactly who he is or why he's doing this. Jackson Crow—head of the FBI's Krewe of Hunters, a special unit of paranormal investigators—is assigned to the case, along with local agent Jude McCoy. 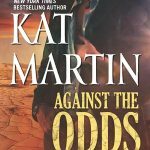 Then Alexi Cromwell, who works in the ship's piano bar, is drawn into the situation when a victim's ghost appears to her—and to Jude. She and Jude share an attraction, and not just because of their mutual talent. There are many suspects, but one by one they're ruled out… Or are they? In the end, Jude and Alexi have to rely on each other to catch the killer and escape his evil plans for Alexi. A Latte contains espresso, steamed milk and foam milk. The Espresso: Graham delivered an interesting murder mystery. A serial killer known as the Archangel Killer has been killing woman along the coast and leaving them displayed at local churches. On each victim, he places a saint’s medallion. Sporadic killings and movement from city to city is making it difficult for law enforcement to capture this killer. The case was interesting, and brought us to New Orléans. The head of the Krewe of Hunters Jackson Crowe has been on the case since the first victim appeared to him as a ghost. Once again, Graham weaved in interesting details from the ship to the medallions. I always find these details to be fascinating. The Steamed Milk: In Haunted Destiny we meet some engaging characters. Our hero, Jude McCoy is an agent from the NOLA division of the FBI and assigned to work with Crowe. At the latest crime scene, he spots a suspicious onlooker and they soon give chase. They witness him board the Destiny Cruise ship as it prepares to depart the port of New Orléans. Jude’s success rate has caught Krewe’s attention and he follows Jude onboard. There is a sadness to Jude and I enjoyed getting to know him. Alexi Cromwell, New Orléans resident and musician is an entertainer aboard the Destiny. Alexi is gifted with the ability to see the dead and is friends with a cast of ghosts who travel the Destiny. She lost her fiancé and took on this contract to avoid the memories. She is clever and quite popular with crew and passengers. She ends up aiding Jude and Jackson. We meet many colorful characters on the cruise including ghosts, crew and passengers. The Foam Milk: Graham gives us a side dish of romance and I enjoyed time with spent with this couple. Both Alexi and Jude have suffered loss and for the first time in a long time the other awakens feelings in them. Their relationship started slowly, sure, there was attraction but the case was at the forefront. I liked that the romance built slowly as they learned to trust each other. The case took precedence in Haunted Destiny but page time with them was sweet. Overall Haunted Destiny made a great Latte. The tale was smooth, bold and engaging. Being trapped at sea with a list of potential suspects was interesting, although at times I will readily admit to being bored. Suspects ranged from passengers to crew and Graham did a great job with red herrings and fleshing out suspects. The ending was climatic with ghosts aiding our couple followed by a moment that while incredibly cheesy, made me tear up a tad. I bought one of these after reading one of your reviews and I have yet to read it. Just part of the massive tbr pile. 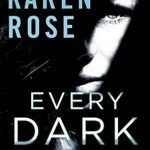 I used to read her probably when she was starting out a long long time ago-romances and romantic suspense, but honestly she wasn’t a favorite. You have me intrigued though with the killer being aboard the boat. But you saying it bored you at times is still something to think about. Love your Latte review! I think because we are aboard a ship it caused some repetition. Paranormal crossed with mystery? I think that’s an interesting combination and one that can be hard to pull off perfectly well hehe :3 But it seems like this book does a pretty fair job at it in a way you could enjoy! This author and series is a favorite for me..Graham does really well mixing genres. I am so glad to hear that this is a stand-alone. I got this at BEA and I was worried I wouldn’t be able to understand what was going on. It looks like a good read. Great review! Whew 18th book! I really need to try this series already, even though it’s so long. Thankfully you can really jump in anywhere. I’ve never read anything from Graham. What?!? I know! I do like your mention of how she weaves in details AND I like the paranormal element. Haunted Destiny sounds like a pretty good read and I just happen to have a copy… 😉 Love this review, Kim! You need to fix this situation STAT! Why haven’t I tried this series yet? I must have noticed her name or the covers and book reviews, but in passing. I love crime thriller/paranormal blends so I have a feeling I’ll love them. Glad I could share, yes I can see you enjoying these Sophia! It sounds like a really fun mix! It really was 🙂 thanks! I have never read her…I know! 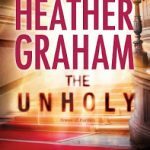 Heather Graham is one of my favorite authors! Thanks for the post!! Yay, glad you love her too Angela! Glad to hear you are a fan too Cindy! 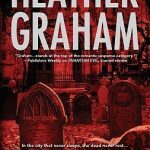 Fabulous cover and anything by Heather Graham is a must read for me! I actually met her and got my photo taken with her at the RT Convention in Vegas. I was already out there for PBS and NAB and hadn’t paid attention to the date of the convention so I was very surprised to see it happening and had to attend. I met her at BEA this year, and had this book signed. Such a wonderful lady. I love the Krewe series! It’s not flawless but so much fun. My very favorite are the ones where the characters can see ghosts so I’m really looking forward to this one. That is awesome! I was that way with a few series last year and now I have joined the ranks of folks waiting for the next release! I almost grabbed this the other day, I probably should have. I think I’ll check the library, I think her books would be great for over summer. I’ve only read one book in this series but I absolutely loved it, so this is going to be a go-to series for me when I need something I know won’t disappoint. I probably should start at the beginning, but I like that these all work on their own too! I’m so glad that you said these could be read as a standalone. I nearly accepted this one for review, but I was worried since I was so late into the series. Completely, some of them are trilogies within the series, but even then they work on their own. Great, even review, Kim. I’m so glad you introduce me to Graham. Her work always appeals to me. They are a lot of fun Tyler. Wow, it’s been forever since I’ve read one of her books. I really need to start reading her gain, I loved her books. I have fun with them Mary. I’ve heard so many amazing things about Graham, but I have yet to pick up one of her books, which is a shame. She reminds me a bit of Nora, what with the paranormal mystery and the lovely romance. Seeing as I adore Nora Roberts, I’ll certainly give this a try. Yes, Nora is a wonderful comparison, although I am not a fan of her standalone novels. My favorite trilogy from Graham is Bone Island trilogy..